Thick-cut fries tossed in Cajun seasoning and topped with spicy Andouille sausage, fresh cheese curds and brown gravy. 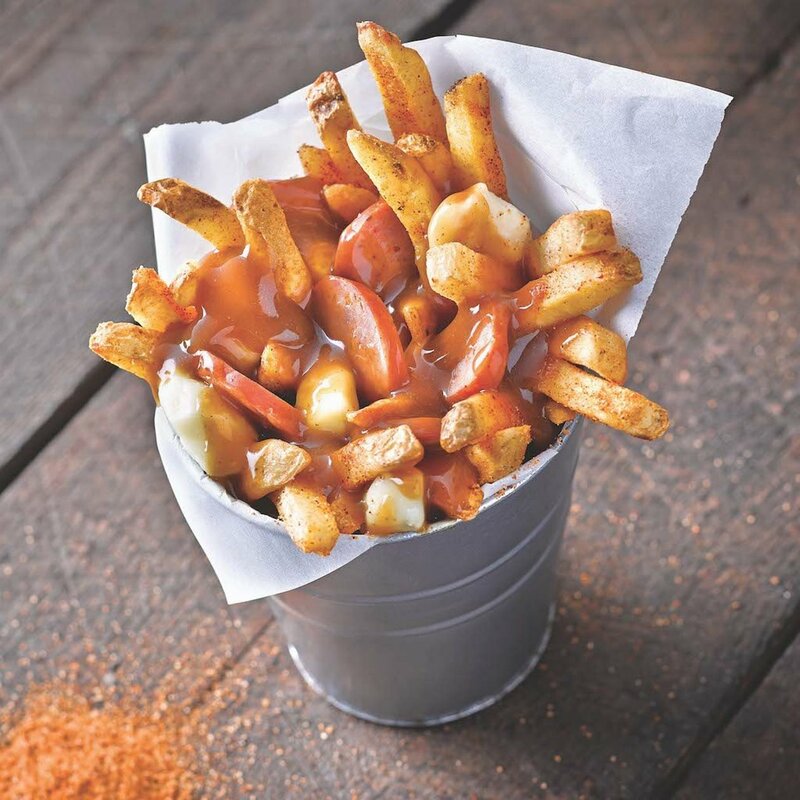 In a bowl, toss 10 oz fries with 1 tsp cajun seasoning. Place fries on a serving dish, laddle 2 oz of gravy and top with 2 oz of cheese curds and 3 oz sausage. Finish the dish with another 2 oz of gravy. Serve immediately.